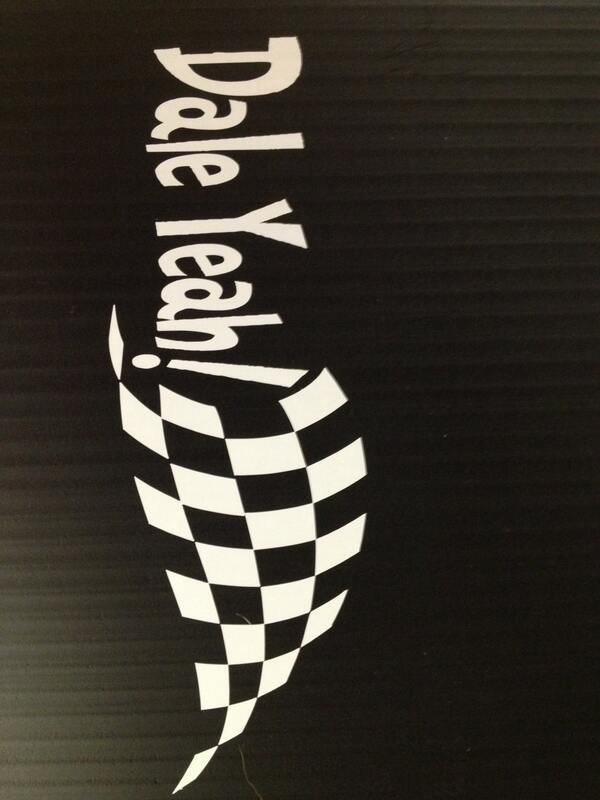 Popular "Dale Yeah" saying in vinyl. One of Racings most popular drivers. Great for your car, truck, RV, boat, etc. We use only high-quality outdoor vinyl. Weather and water resistant. Approx. size is 2" x 5.5". Durable 5 yr. outdoor vinyl. Easy to apply and will include application instructions.